Have you ever got in situation that your customer didn’t bother getting back to your replies? 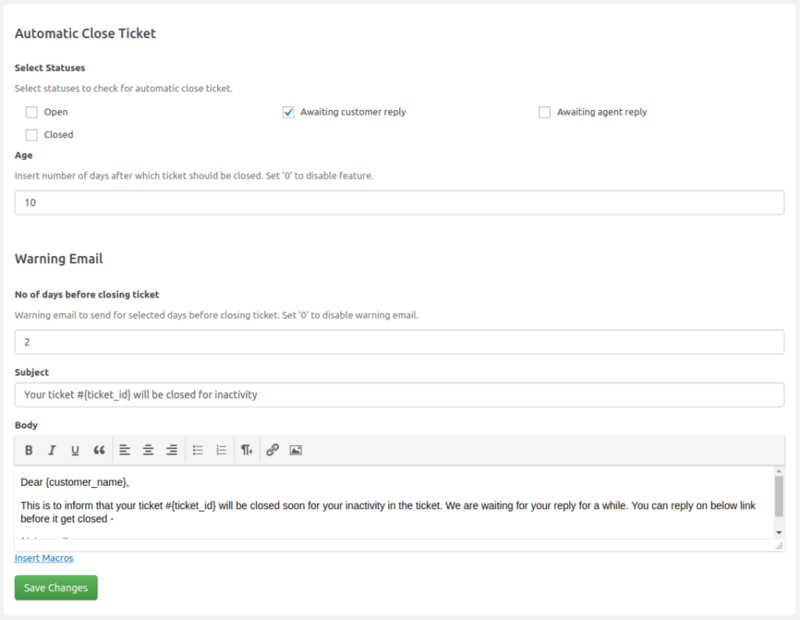 You may wish to remind them about ticket is waiting for their reply. If still customer didn’t get back, close ticket after x days. This is common thing in support industry. This add-on is solution to this problem.